To all who say our democracy is broken―riven by partisanship, undermined by extremism, corrupted by wealth―history offers hope. In nearly every generation since the nation's founding, critics have lodged similar complaints, and yet the nation is still standing. In Democracy: A Case Study, Harvard Business School professor David Moss reveals that the United States has often thrived on conflict. Democracy's nineteen case studies take us from James Madison and Alexander Hamilton's debates in the run up to the Constitutional Convention to Citizens United. They were honed in Moss's popular and highly influential course at the Harvard Business School and are now being taught in high schools across the country. Each one presents readers with a pivotal moment in U.S. history and raises questions facing key decision makers at the time: Should the delegates support Madison's proposal for a congressional veto over state laws? Should President Lincoln resupply Fort Sumter? Should Florida lawmakers approve or reject the Equal Rights Amendment? Readers are asked to weigh the choices and consequences, wrestle with momentous decisions, and come to their own conclusions. Moss invites us to consider what distinguishes a constructive from a destructive conflict, to engage in the passionate debates that are crucial to a healthy society, and to experience American history anew. 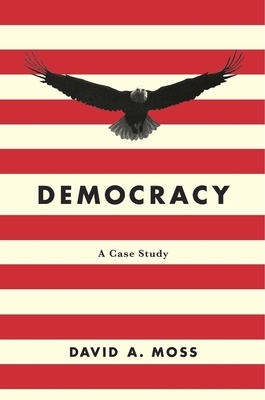 You will come away from this engaging and thought-provoking book with a deeper understanding of American democracy's greatest strengths and weaknesses--and a new appreciation of its extraordinary resilience.